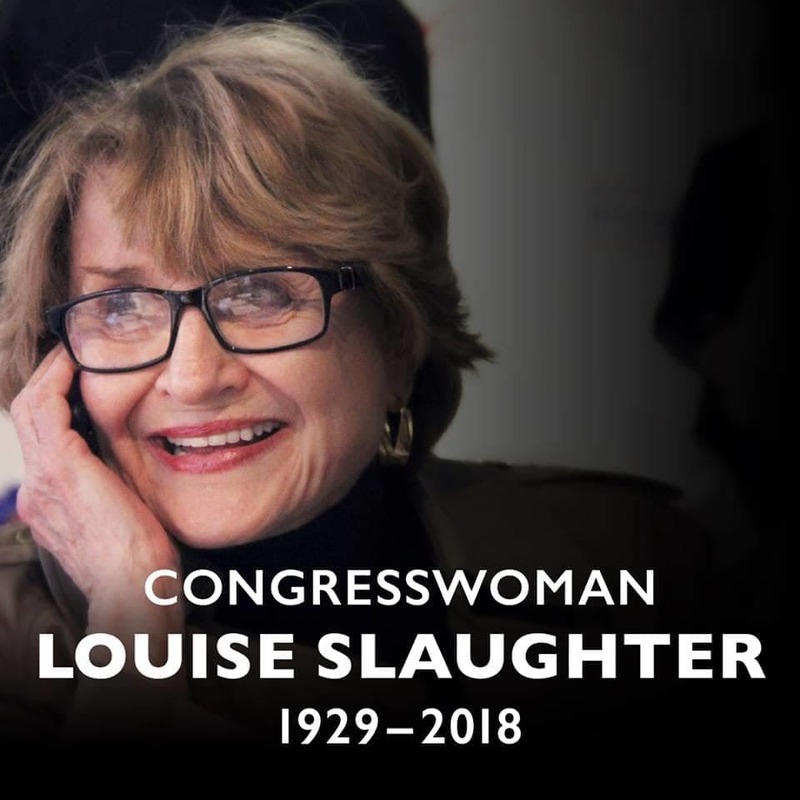 We are saddened to hear of the passing of Rep. Louise Slaughter. She was an exceptional representative and a true champion for women and families. Our deepest condolences go out to her family, friends, staff, and the people of New York's 25th District. 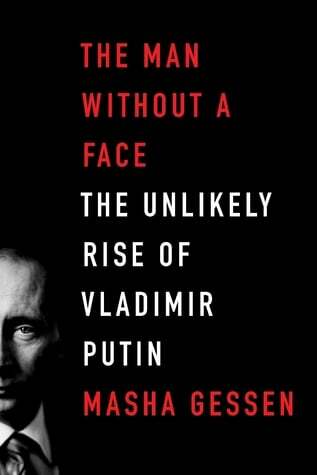 ★ Democrats Abroad Book Club Meeting - Saturday, March 24 @ 1:30 PM: Join us at Starbucks (6 Jiangtai Lu, Lidu, Beijing) to discuss our latest book, The Man Without a Face: The Unlikely Rise of Vladimir Putin by Masha Gessen. Remote participation is available. To RSVP use the sign-up above. Please join our book club page on GoodReads. ★ Monthly Board Meeting - Tuesday, March 27 @ 7:30 PM - The Leadership Board for Democrats Abroad China is made up of 12 volunteers elected by members. All meetings are open to all DA members. 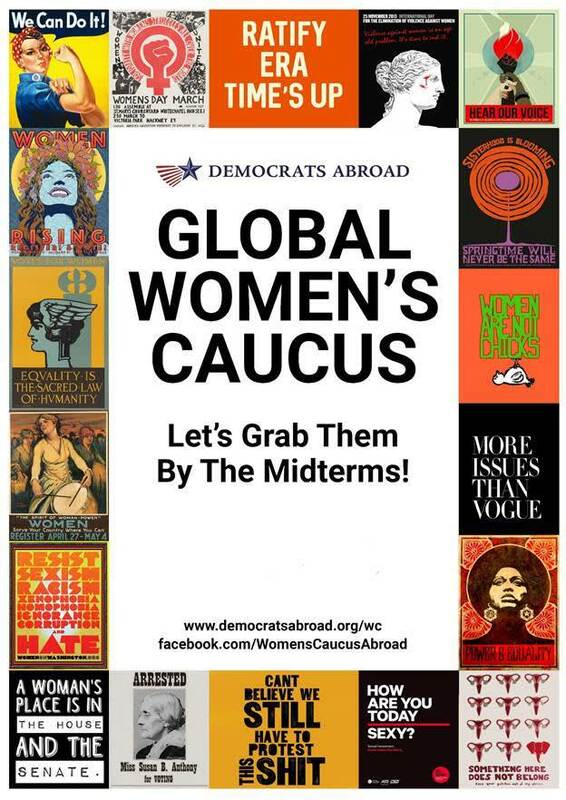 If you wish to attend, use the sign-up above or email us for the WebEx info at: info-china@democratsabroad.org Go to the DA China Wiki to learn more about the board members and read previous meeting minutes. ★ BEYOND BLACK PANTHER - Saturday, March 31 @ 1:30pm - Meet our diverse panel of educators, authors, and movie industry professionals at WeWork Shanghai (Weihai Lu) as we explore the relevant themes and questions posed by the Black Panther movie. Volunteers will be ready to help U.S. citizens register to vote and request absentee ballots. #WakandaForever Click to view panelist bios and RSVP. 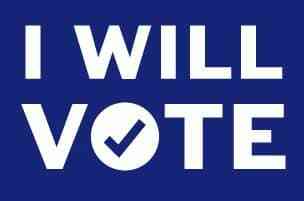 ★ Register to vote and request your absentee ballot! Make sure you are ready to cast your ballot from abroad. 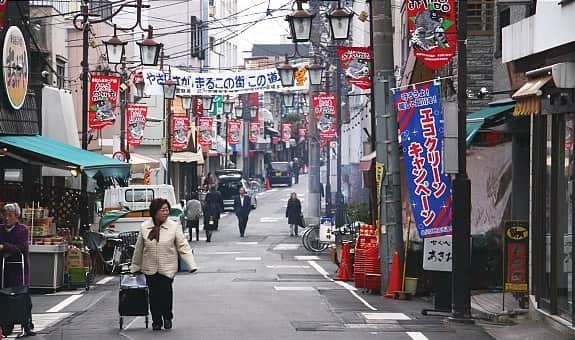 Each calendar year, voters abroad must notify their local board of elections about their intention to vote from overseas. One form does it all: Go to votefromabroad.org to learn about your state's deadlines and to complete the online FPCA (Federal Post Card Application). Follow the customized instructions provided for your submission. Depending on your state, you may be able to return your signed FPCA by email, instead of postal mail. ✔ ILLINOIS - Your ballot must be signed and postmarked by Tue Mar 20 for the Illinois State Primary Election (Tue Mar 20). You can receive your ballot online, but you must return your voted ballot by MAIL. Learn More. ✔ OHIO - To participate in the Primary Election (Tue May 8), complete your FPCA by Mon Apr 9 if you need to register to vote or by May 5, 12:00 PM if you only need to request your absentee ballot. Learn More. ✔ WEST VIRGINIA - To participate in the Primary Election (Tue May 8), complete your FPCA by Tue Apr 17 if you need to register to vote or by Wed May 2 if you only need to request your absentee ballot. Learn More. ✔ INDIANA - To participate in the Primary Election (Tue May 8), complete your FPCA by Tue Apr 30 if you need to register to vote or by Mon May 7 12:00 PM if you only need to request your absentee ballot and will vote by email/online. Learn More. ✔ NORTH CAROLINA - To participate in the Primary Election (Tue May 8), complete your FPCA by Mon May 7, 5:00 PM. Learn More. ★ This week’s #TinyAction: Support voter registration wherever you are in the world! The biggest way you can make an impact in this year’s midterms is by making sure Americans abroad receive their ballots and VOTE.